TL; DR: Talking with THCServers Founder Catalin Florica, we found the Euro-based hosting company to be everything a web-curious end-user wants: a service built by dedicated and proud hosting nerds. The Founder and CEO shares his personal story, and we see how a thirst for technological know-how inspired the launch of a company intent on building an affordable, reliable platform backed by a knowledgeable and kind team. 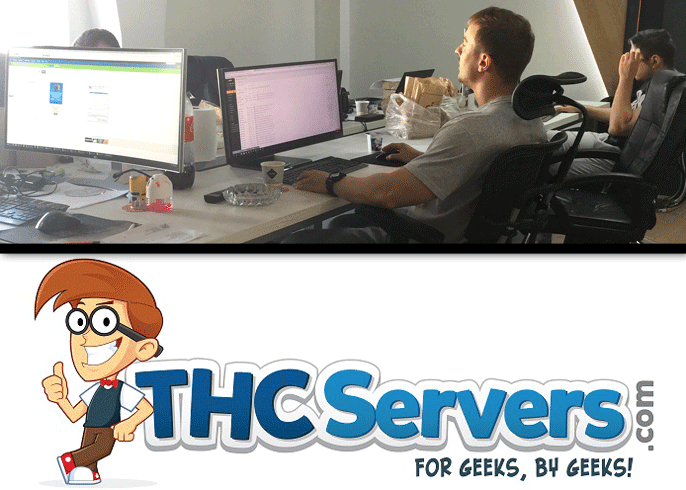 THCServers is a family of self-proclaimed geeks with shared techy interests and a common goal: to ensure clients’ trust. He succeeded tremendously — from owning his own Pentium, to later owning his own hosting company. Catalin’s dreams became reality when he and a university friend founded THCServers in 2013. Built with a focus on information-sharing and creating a community where individuals can support one another in creative endeavors on the Web, THCServers aims to hit the sweet spot between reliability and affordability for hosting customers. After years of tracking down any technological information he could, Catalin established a business where his passion for discovering new technology enables him to empower others. “I had many friends interested in this field, but I felt none were as passionate as I was,” he stated. We found the community to be a conglomeration of the coding-curious, the software-minded, and the dev-determined. They pride themselves, as a company, as being formed “for geeks, by geeks,” and that’s a mantra that carries weight in the hosting world. Catalin noted that most THCServers customers come “just for hosting,” but they stay for the friendly support. This team is not merely punching a clock, they’re not hell-bent on hitting a ticket quota, and they don’t confuse account numbers with customers. “We like talking to our customers,” Catalin said. “We take time to understand their problems and solve as many as we can.” The CEO and Founder calls his employees “dedicated friends,” with lots of experience in their fields, and they’re visibly proud of the work that they do for their clients. Emphasizing quality over growing for the sake of growing, the entire THCServers team consists of Catalin and Co-Founder Mihnea, four support folks, two SysAdmins who dabble in dev and the occasional SEO venture, another full-time system administrator, and a web designer. THCServers believes in “thoughtful” expansion — so they’re very excited for their imminent datacenter purchase! As the team has scaled with caution, there’s been much excitement surrounding the upcoming purchase of their own datacenter — which we’re proud to report is well on its way! “We are all eager to start our own datacenter — baby steps — and expand the team,” Catalin shared. “We are already in the process of acquiring the equipment and breaking down some walls.” THCServers executives believe this is the next best step in taking care of clients’ needs. Catalin’s curiosity for the Web stems back to his childhood. “I bought all magazines that had anything to do with technology, I stared and almost memorized every article, and I imagined the future and how great it could be,” he told us, recalling the inquisitive nature that inspired him to launch his own hosting company. If you share in Catalin’s curiosity, or if you want nothing to do with the technology but want to trust that your site will be taken care of by those who do love the tech stuff, the THCServers team would be proud to partner with you in your web-building journey. Catalin called their office a “free-will space,” and where self-proclaimed geeks are free to explore, wonderful things happen for their company’s customer base. Built “for geeks, by geeks,” THCServers is a company and a team that aspires to help others — whether by taking on apprentices or nurturing new customer relationships — to develop their interests on the Web.